Hi friends, hope you are enjoying tehintor.com. Today we are sharing some interesting information about a wonderful app Called Younity. Younity helps you to connect your computer with your iPhone. 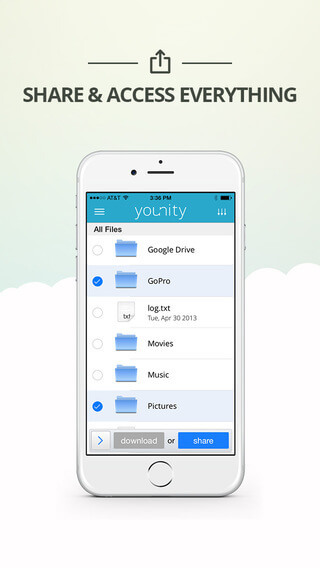 Now with Younity there is no need of any cloud storage or syncing. Younity allows your computer to act as like a home media server. That is all your files, music, videos and photos are with you all the time wherever you are. Younity works on both windows and Mac. In mobile platform, it is currently available only for iPhone and iPad. You can instantly stream all your media files from your computer [Mac or Windows] to your iPhone with Younity. That is you can simply play your music, Photos and videos in iPhone that is stored in your Computer. You can easily import your all media playlists to your iPhone. 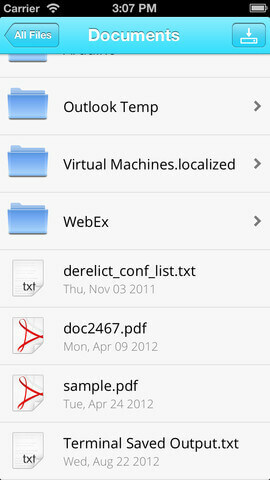 Younity allows you to keep all your files safe and unified. That is you can access your files from all of your computers with your iPhone or iPad. Just by searching file name on Younity app, you get the desired file that is stored on your computer. You can also able to download the file to your iPhone if needed. Also, You can print files directly from Younity app by using Air printers. Share your contents from your computer with your friends by just one click using Younity app. You can share your photos videos on your computer to social networking sites from your iPhone or iPad. Younity iPhone app comes with a good design. It’s pretty user friendly and has a good look with the beautiful icons used. The user interface was too outstanding, with the quick menu bar and search bar it is very easy to handle. Younity app requires iOS 5.1 or later to work. It is compatible with iPhone, iPad and iPod Touch. There are no limitations such as size or user threshold and it is totally free of cost. Younity is also highly secured and your data never will be deleted or get hijacked. younity just creates a connection to let you access your files remotely. Hope you got a little idea about younity and how it is helpful. It’s simple to set up, no more time to wait; Try Younity now. 3. After registration younity will scan your computer, it might take some time. 4. 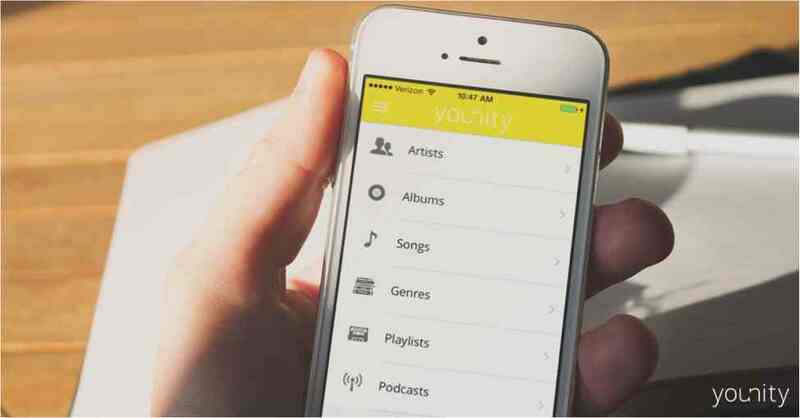 Download and install Younity on your iPhone or iPad [or both]. Download it from app store by searching Younity on app store. I hope you guys enjoyed reading about Younity and tried it. Keep visiting techintor.com for more awesome stuffs like this.